Does size matter? We think so, and with the Rugby World Cup round the corner we will show you why! Whether you are in it for the sport or the men in tight shorts, the Rugby World Cup 2015 is an exciting time in the UK! We are all gearing up for the kick off on Friday the 19th September 2015 with our fingers and ties crossed for our team! 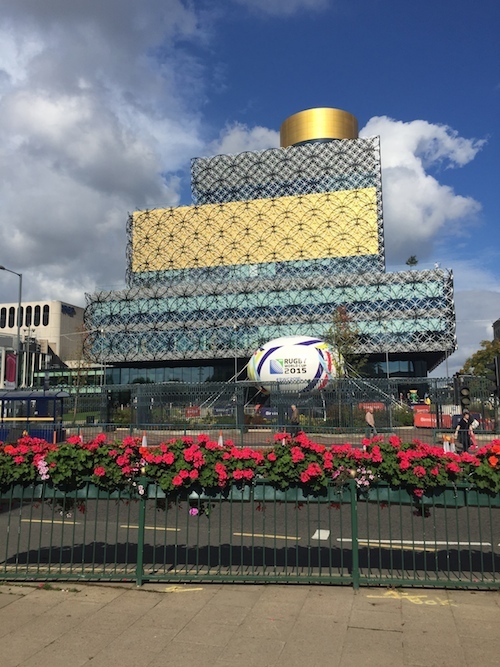 You may already know that Birmingham is England’s second city, and here in Brum we like to do things big! The new Birmingham Library is number 10 on the ‘UK most-visited tourist attractions’ list and is the only attraction outside of London to appear on the list. The £189 million library is huge and welcomed almost 2,500,000 visitors in 2014! That leaves London in the shadows for library visitors! 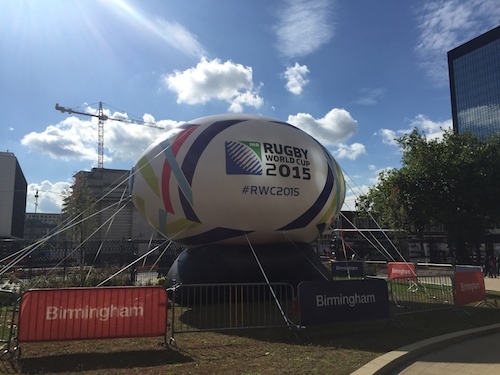 Naturally Birmingham wanted to celebrate the launch of the Rugby World Cup 2015 by doing something big! That’s where Street advertising Services came in! 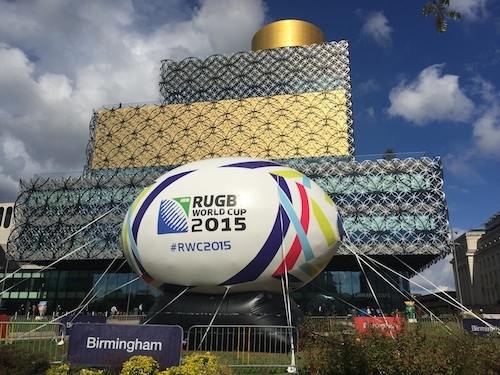 Our team are no strangers to doing things big so we went ahead and made a super sized rugby ball sporting the official hashtag #RWC2015 and placed it outside of our famous Birmingham library! It really is a sight to behold and is causing quite the stir! 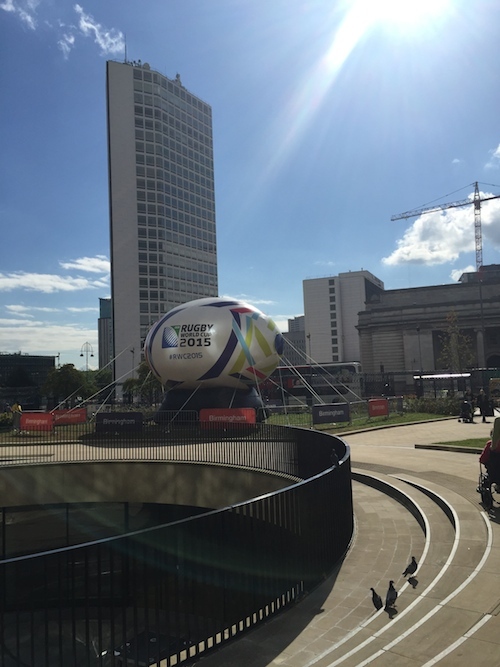 The rugby ball really does look fantastic in the sunshine and many people were stopping to take pictures of the ball and even to take selfies with the monolithic inflatable! This rugby ball is so special it even has its own security guard watching over it! Not to worry though the structure is 100% safe and is the pinnacle of modern engineering so feel free to get up close and take a selfie! Do you think a giant inflatable is what your brand needs!? Well we can turn pretty much anything into a big thing filled with air, it’s pretty cool! Get in touch now to discuss your PR and marketing needs with our experienced team!